Lewis Hamilton is looking forward to a three-way battle this season after a strong debut showing for the Honda-powered Red Bull. Max Verstappen secured P3 for the team in Melbourne, giving Honda their first podium finish in Formula 1 since Silverstone 2008. He overtook Ferrari’s Sebastian Vettel on lap 31, and if not for a trip over the grass in the closing stages, had a good chance of challenging Hamilton for P2. 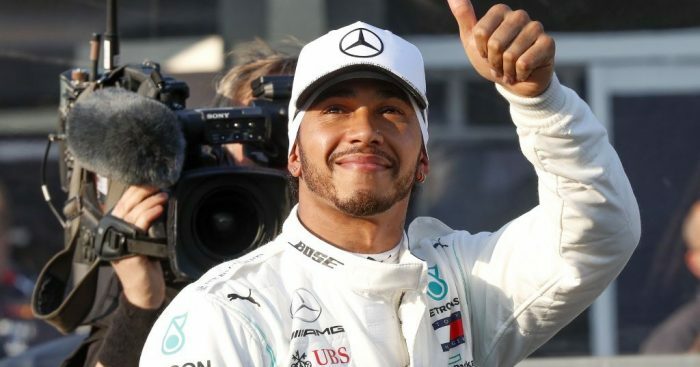 Hamilton finished well behind his team-mate and race winner Valtteri Bottas after his W10 suffered floor damage, and with Ferrari also investigating why they were so far off the pace, the five-time World Champion expects a three-way battle to break out at the top when the dust settles. “They [Red Bull] were able to pass the Ferrari, I think it’s awesome,” he told reporters in Melbourne. “The Red Bulls are there with us and I think we are going to have a really, really great battle between the three of us. The Brit cited his experience as the reason why he would not make predictions for the rest of 2019. “I have been here a long, long time, it’s a long year to go and there is a lot of knowledge that we can take from this race,” he said. “The glass is half full, we have positive things to take from the race. Although Hamilton finished fastest in all free practice sessions ahead of the race, nobody expected Ferrari to go from close challengers to distant passengers comes qualifying and the race – something which the 34-year-old cannot understand. “No one was expecting to have a gap like that when we came into the weekend,” he admitted. “What I was shown, and led to believe from the analysis, was that Ferrari were ahead and obviously that wasn’t the case this weekend.